Beginner and sash level classes to meet your level of progress. Classes organized by sash level ensure adult students are learning at their curriculum level along with their peers. Mixed classes enable all students to train together, introducing Novice II-level students to additional training opportunities, while ensuring that all students continue to strengthen the fundamentals of kung-fu. Novice Level students learn from Intermediate/Advanced students while enabling more advanced students to develop their leadership skills. Mixed, in which all adult students are combined. See the Novice II & Intermediate Schedule below. See the Advanced Schedule below. After attending 6 of the Adult Beginner Novice I classes, students are welcome to also attend any of the seven adult daytime classes. Also, our Women’s Only Classes provide women the opportunity to train in a comfortable, private environment with female instructors. Adult classes are open to male and female teens and adults 15 years and older. In the last issue I talked about fluidity and its importance in Kung Fu. Here are some suggestions for how to develop fluidity. Our Shaolin Kung Fu Crane teaches us “fluidic harmony”. Regular breaks are the very thing your body needs to continue to progress, and more importantly, prevent injury, sickness, and burnout. Calling all Adult Novice II students! Goal setting takes some thought and planning. There are three steps that will help you set realistic goals you can achieve. Being rough and tough martial arts warriors does not give us a license to disregard physical cleanliness. Developing and maintaining good personal hygiene is one of the foundations of self-respect, no matter how you spend your time. It also says a lot about your respect for others at the Academy! My last article identified that different types of flexibility are achieved through different types of stretching. This article provides examples of the different types of stretches and outlines how to use them to increase flexibility and range of motion. 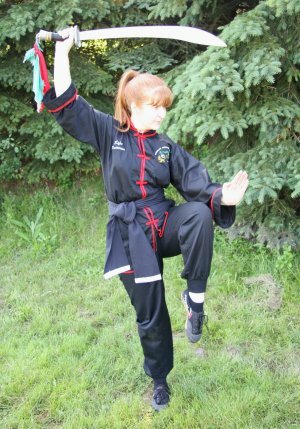 We all know that being successful in Kung Fu is about more than just physical strength and agility — your mind plays a key part in your performance. Flexibility is needed to perform everyday activities with relative ease…things like getting out of bed, lifting children, or sweeping the floor. Better flexibility improves athletic performance and can decrease risk of injuries by helping your joints move through their full range of motion and enabling your muscles to work effectively.